Crazy fighting game gets a graphic novel next fall. 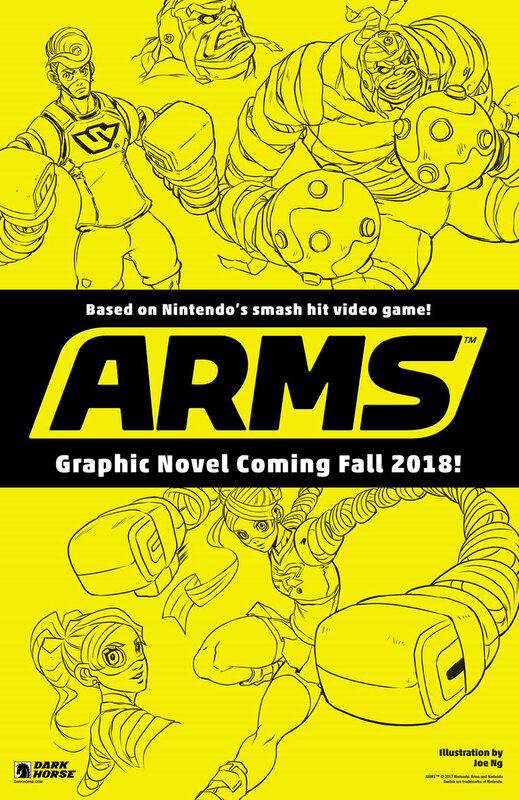 Dark Horse Comics will turn ARMS, a fighting game for the Nintendo Switch, into graphic novels beginning next fall, the publisher announced via press release. If you aren’t familiar with ARMS, it’s a pretty funky game featuring fighters with long, stretchy, Slinky-like arms. Using the Switch’s motion controllers, a player can guide the arms to their target in midflight, among other moves. The game is filled with characters like Spring Man, Helix, Ribbon Girl and Lola Pop, mnay of whom will no doubt have their stories explored more fully in a graphic novel. While no creative teams were announced, the first one is expected next fall.